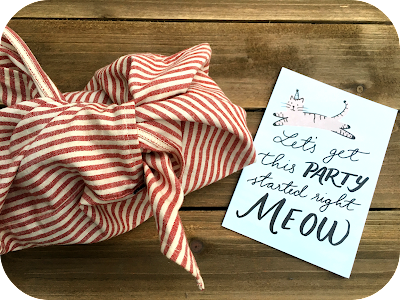 It is birthday time again for my mama. I am not quite sure how to say how much I love and admire her. I count my self one lucky gal for having her in my life and she is just 15 miles down the road so I get to be with her as much as I can as an adult and raise my family near the love and support her and my dad as well. This last year I taught just the basics of knitting and she picked up on it pretty fast, she is my crafty influence! My mama is also a fan on the Biltmore mansion in Asheville North Carolina. I went there with her as an adult and she has been there several times with my dad. 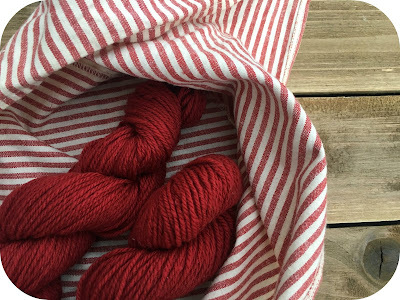 So I heard about this yarn that was created a couple years ago and dyed with a re-created dye called Coolidge Red coined by the Biltmore Industries. 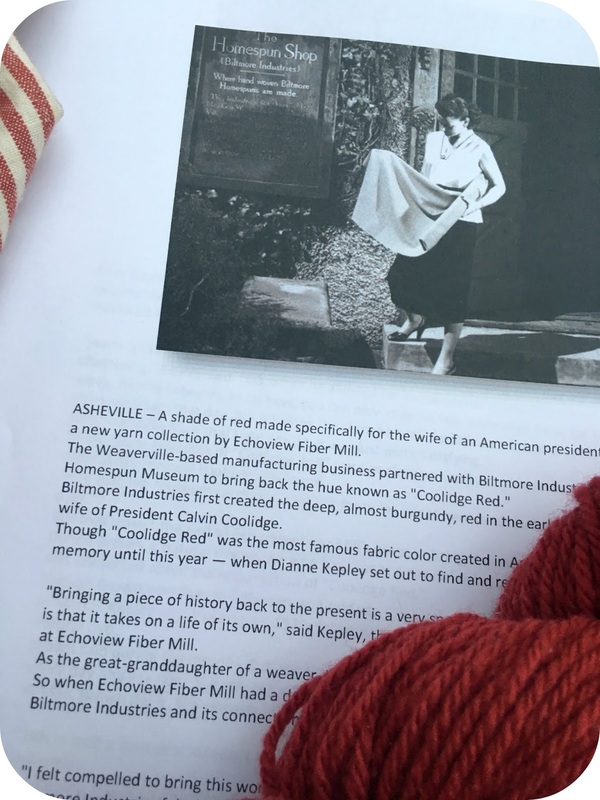 This dark red was the most famous color created in Asheville in the early 1900's. I was excited and also heartbroken to discover this and find initially that is was done as a small batch and most likely no longer available. 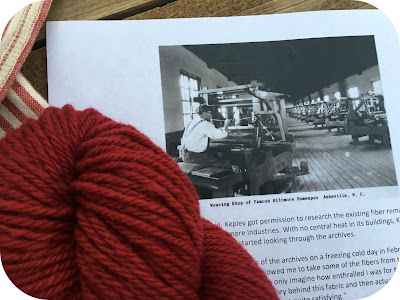 Until I was watching one of Ninja Chickens podcasts last fall (where I first heard about this yarn) and she had learned from Echoview Fiber Mill that they found some more. I called them up that week and ordered some and stashed it away for my mama. So I gave it my mama today along with the information I could find online about the store all wrapped up in a bento bag for her knitting projects. 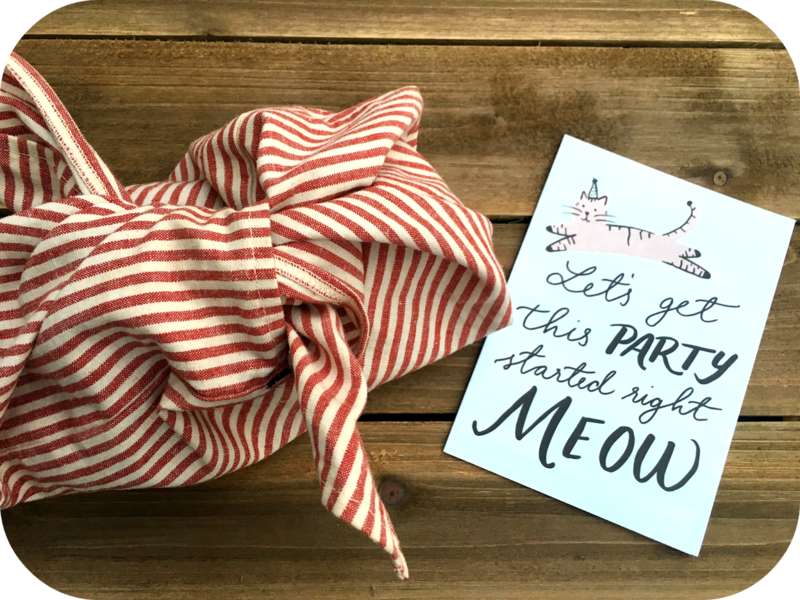 I am looking forward to many more opportunities to cozy up with my mama (yes, her grandma name is Meow) and share another common thread!